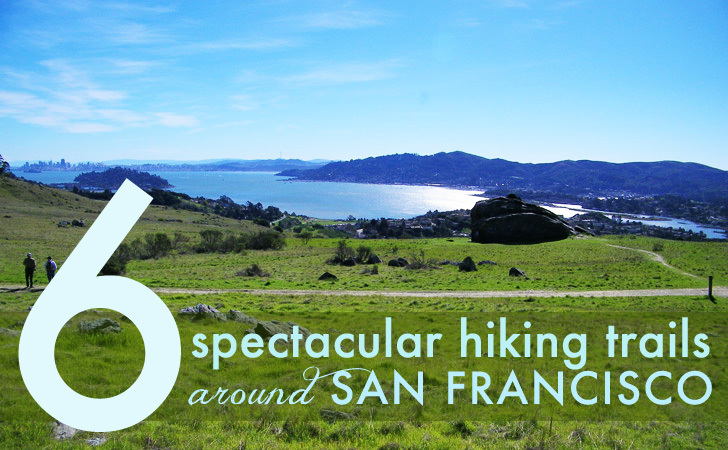 Top 6 Autumn Hikes Around the San Francisco Bay Area - Get Outside! Top 6 Autumn Hikes Around the San Francisco Bay Area – Get Outside! Now that Autumn has arrived, we at Inhabitat want to make sure that our readers get the most out of the outdoors - what better way is there to strengthen our connection to nature than to get out and enjoy it? Our first fall outdoor guide focuses on our lovely readers in the San Francisco area - we've rounded up our top 6 favorite hikes around the bay. These hikes will take you to remote state parks, beautiful mountain top vistas, and backyard trails, so get out there this weekend - and remember to respect the trail so it's in great condition the next time you head out! 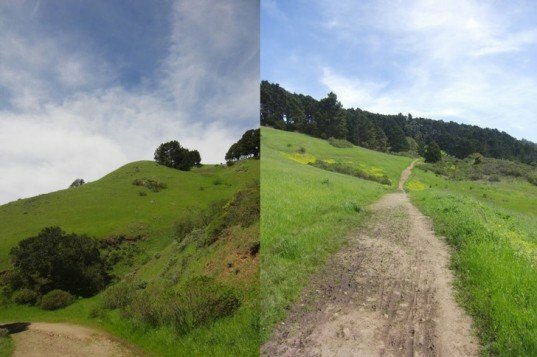 Overview: Over 200 miles of trails are accessible in the Mt Tamalpais State Park just north of the city near Mill Valley. 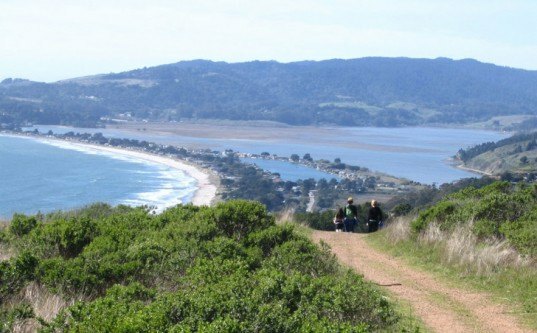 The Matt Davis Trail has everything a hiker could want including: redwoods, a variety of local flora and fauna, rushing water from Webb Creek, and panoramic views of the ocean and bay. It is highly suggested to spend a whole day on this trip by visiting the local area near Mill Valley, which has great diners and shops. Tips: The trail gets a little crowded so start a little early. Check the weather before starting on the hike because coastal fog can greatly reduce visibility. Overview: Ring Mountain is located on public land and is part of the Phyllis Ellman Loop. 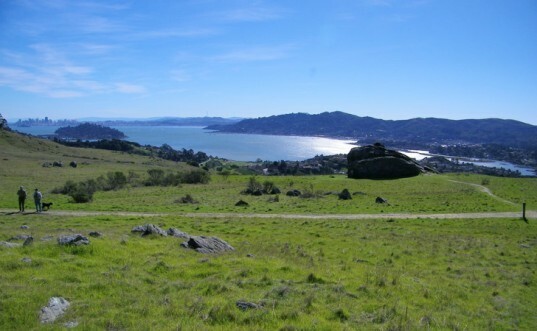 The trail, which is located off of Paradise Drive in Tiburon, is full of old oak trees, boulders, and fantastic views of the bay. This is also an excellent getaway for anyone looking to spend a day bouldering and hiking within a good distance from the city. During the autumn, the toyon and poison oak are very beautiful – but stay away if allergic! Duration: A couple hours…unless sidetracked by bouldering. Overview: This long, narrow, windswept peninsula of the Point Reyes National Seashore has just one trail with a culmination at Tomales Point. 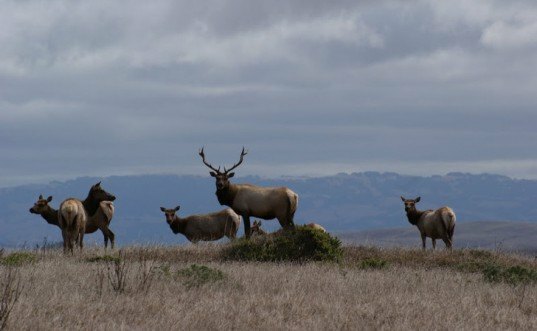 This wonderful hike, which is best enjoyed in late summer and early autumn, gives the hikers an opportunity to gaze upon seabirds, the ragged coastline, and herds of tule elk. Yes, tule elk! Every autumn the bulls get out on the rolling coastline at Tomales Point and they battle it out to for the females. Whether you come at this time of the year or not it is always a sight to see these elk. Tips: Weather is always unpredictable – no matter what the weatherman says – so be prepared and check the weather forecast for Point Reyes Station. This hike requires a long drive, so plan accordingly. During the autumn the trail is not empty so expect others to be watching the wildlife with you. Overview: Located just outside of the Greek Theater at UC Berkeley, this hike in the university adjacent Tilden Regional Park provides great views of the Bay towards San Francisco and the Golden Gate Bridge. Autumn and winter are less foggy and are more likely to provide clear views. This beautiful hike really does help you get away from the hustle-and-bustle of the city by stepping over a hill and into the woods. The peaceful vistas and trees can calm almost any nerve. 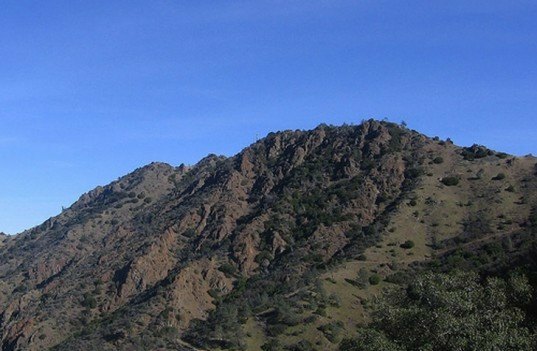 Overview: North Peak exists for those that hate the crowds that swamp its sister peak Mount Diablo. The five-mile hike gains over 3,000 feet in elevation and is not for the faint of heart. But remember that the benefits and rewards far outweigh any difficulty hikers may have on the trail. On a clear autumn day hikers can see all the way to the snow-capped Sierra peaks hundreds of miles away. The wildlife on this trail also loves autumn. Tarantulas often walk the trail in pilgrimage for a mate! Tips: The hike is very strenuous and covers some tricky terrain so pack plenty of water and food for energy. If you are a peak-bagger, then add another three miles to your trip by traveling to main summit along Mount Olympia Trail. 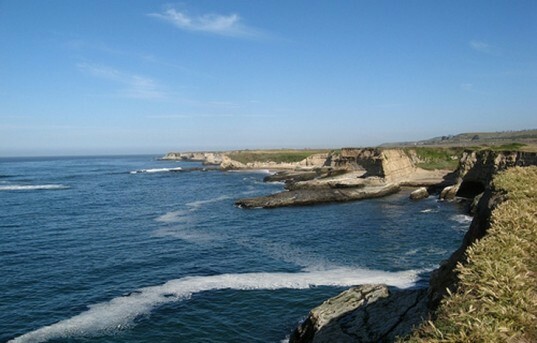 Overview: Less than two hours away from the city lies Wilder Ranch State Park. The park is a few miles from Santa Cruz and has some of the most spectacular diversity of any park along the central coast of California. The Pacific to Redwoods loop is a difficult hike that provides hikers with the rare opportunity to experience the rugged coastline as well as the beautiful redwood forest that makes Santa Cruz a gem for many outdoor enthusiasts.